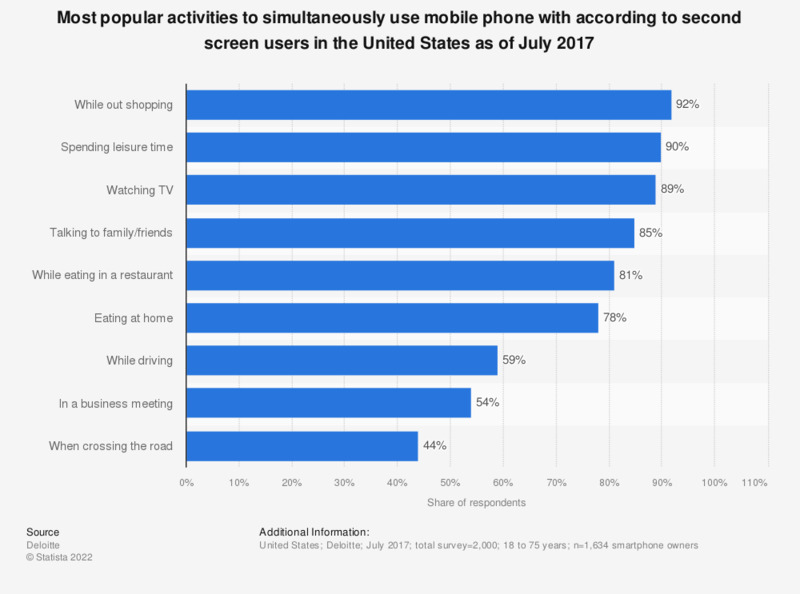 This statistic presents the most popular activities to simultaneously use mobile phone with according to second screen users in the United States in July 2017. During the last survey period, 89 percent of respondents stated that they used their smartphone while watching TV. Question: "How often, if at all, do you use your mobile phone while doing the following activities?"